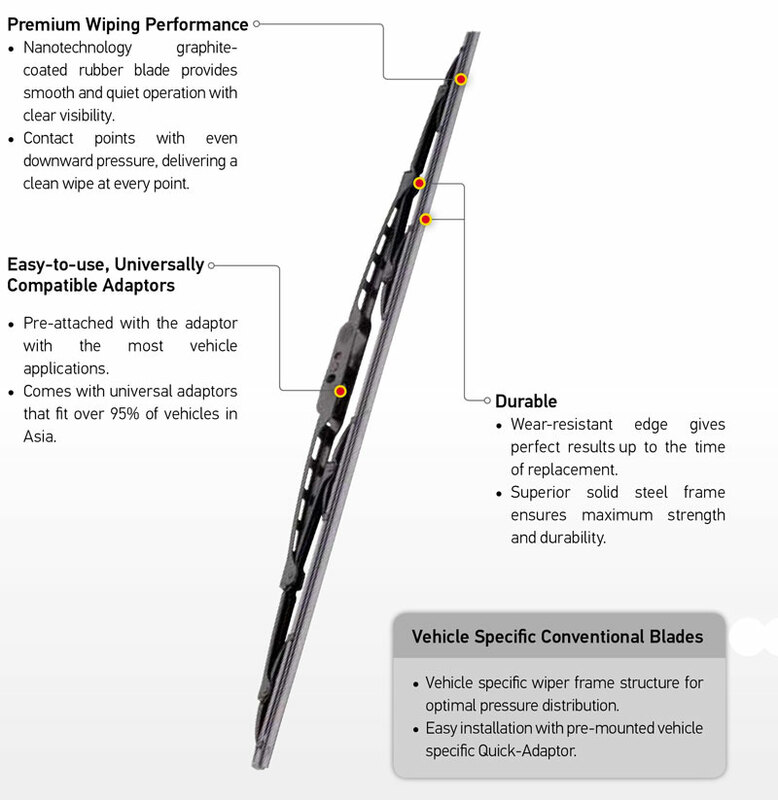 Premium Wiping Performance: Nanotechnology graphitecoated rubber blade provides smooth and quiet operation with clear visibility. Contact points with even downward pressure, delivering a clean wipe at every point. Easy-to-use, Universally Compatible Adaptors: Pre-attached with the adaptor with the most vehicle applications. Comes with universal adaptors that fit over 95% of vehicles in Asia. Durable: Wear-resistant edge gives perfect results up to the time of replacement. Superior solid steel frame ensures maximum strength and durability. Frameless design, significantly reduces drag, noise and wind lift. Flat aerodynamic blade ensures even pressure to reduce smears. Easy to install and good elastic extension, which can prolong the life of the blade. Applicable for all climates worldwide.